When you’re in the market for a piece of used heavy or ag equipment, you need a reliable local source for everything you require. For over 60 years, Butler Machinery has been helping a broad range of businesses and industries throughout the region find quality solutions at a competitive price. Our experienced sales team will help analyze your projects and applications to identify the used heavy and ag equipment for sale in the Dakotas suited to your applications and requirements. From heavy equipment such as backhoe loaders, hydraulic excavators, dozers, motor graders, wheel loaders, skid steer loaders and telehandlers to power systems, crushing and screening machines and work tool attachments, we strive to be the one-stop shop for all your needs. Within our massive inventory, you’ll find low-hours heavy equipment for sale manufactured by Caterpillar and other leading manufacturers. We consistently deliver the best value used heavy equipment sales in North and South Dakota. Whether you’re searching for used mining equipment for sale to support your growing business or replacing an older, out-of-date machine in your fleet, Butler has you covered. We only carry pre-owned solutions that meet strict quality standards and are capable of providing a long and productive service life. Within each product category, you’ll find a variety of models to choose from, and we are always adding equipment to our product inventory. When you partner with us for used heavy and ag equipment sales, you benefit from a full-service dealership with broad capabilities. We strive to build long-term relationships by offering everything you need to grow your business. 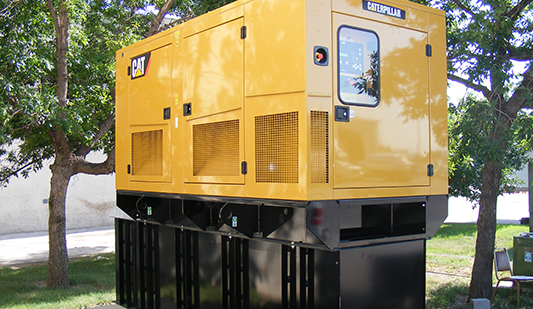 From backup power generators and light equipment to trucks, trailers, accessories and supplies, you’re sure to find solutions that fit your needs as well as your budget. At Butler Machinery, we believe higher standards don’t have to come at a more significant cost. Whether you’re looking for used ag equipment for sale in the Dakotas or any type of construction machine or power solution, you can be sure you’re getting a product that’s been inspected to meet our high standards. Let us be your one-stop-shop for all your used equipment needs. We’ll work with you to find the right equipment for your job, at a price that’s right for you – all backed by Butler’s extensive parts and service network. Large construction equipment, compact equipment, power generation, agriculture equipment – no matter what your needs, we’ve got you covered. We believe that higher standards don’t have to come at a greater cost. That’s why every machine in our used inventory is put through a rigorous inspection process before we put it on the market. We want to make sure that every piece of equipment with our name on it meets our standards, whether it’s 2 years old or 10 years old. This also means we go further than just kicking the tires – we stand behind each machine that we sell. Contact us today for additional details and to request assistance finding the equipment suited to your requirements.